LOCATION: BRATTLE STREET, CAMBRIDGE, MA. We strove to reinforce the bold geometry of the contemporary home in the garden architecture. 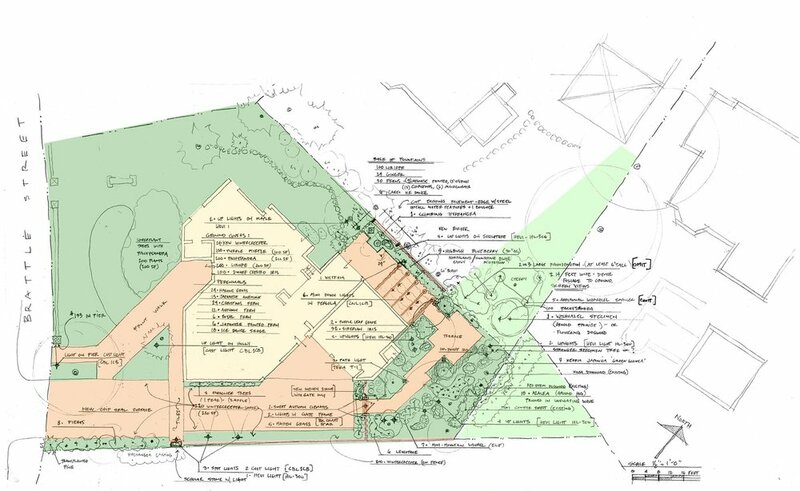 Broad expanses of existing terraces were reduced / cut up into angular paths through the newly created garden spaces. 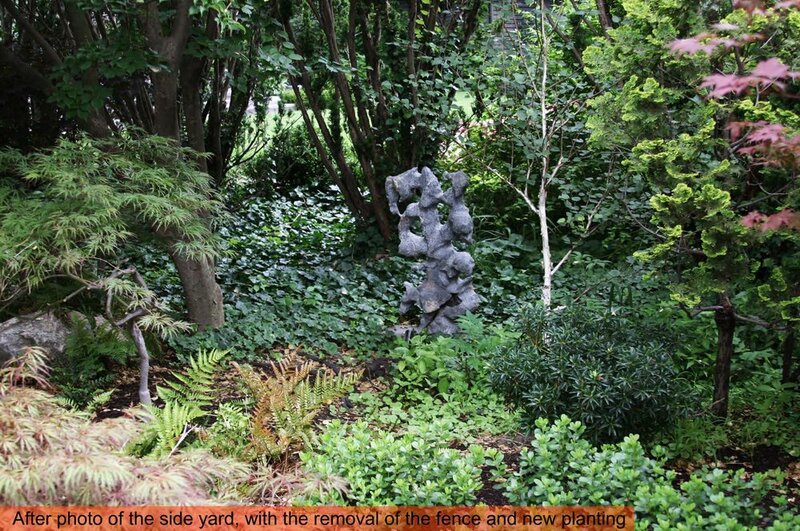 Plantings are sculptural and are strongly related to views from interior rooms and axial views from within. 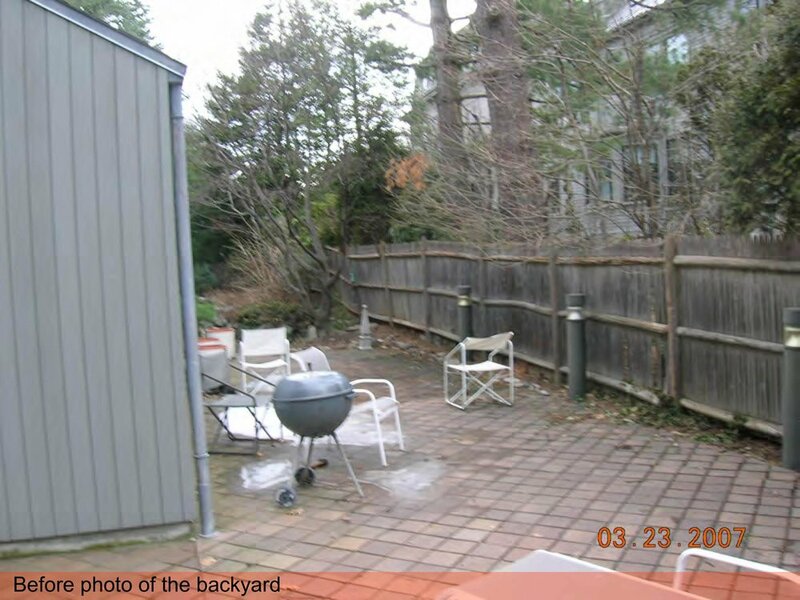 Property line fences were removed so adjacent neighbors could enjoy borrowed views, and still retain privacy, with carefully planted screening. 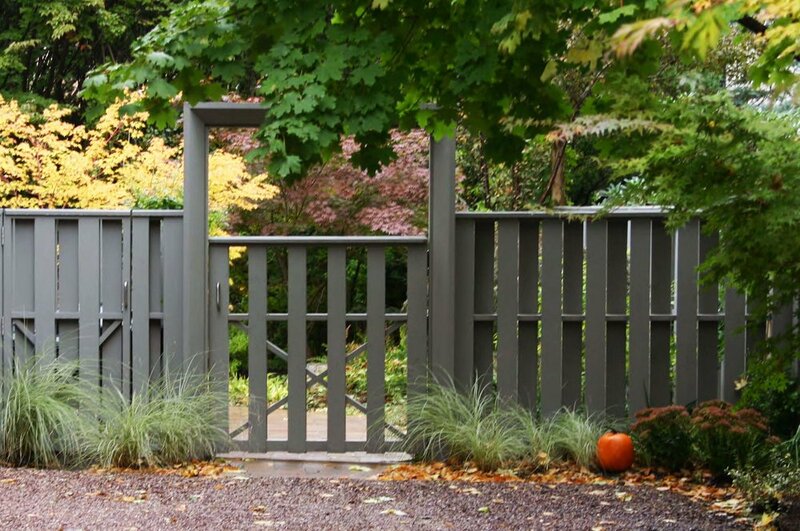 Fences, gates, and pergola detailing tie into the architectural elements and feel of the house. A striking grove of Japanese Maples provide sculptural element from a third-story balcony, and as entry garden experience of color, form, and texture.